Home > Engage > Whose responsibility is wound care? Whose responsibility is wound care? Yesterday I had the enormous privilege of attending the House of Lords to discuss a national wound strategy. This meeting was as a result of a debate in November 2017 stemming from Professor Julian Guest’s work which demonstrated the enormous costs and burden wounds place on both patients and the health care system and the need to develop a national strategy for improving standards in the NHS. Currently it is estimated that the annual spend on managing wounds in the UK is circa £5 billion, wounds are often slow to heal as a result of our ageing population and people living with chronic illnesses, however there could be significant cost savings made if standards are put into place to reduce the variation in care that patients currently experience. I strongly believe that we should also be focusing on the prevention of wounds, particularly for those people living with diabetes. 1% of the NHS budget is now spent on the management of diabetes related foot complications, a shocking £1 billion, and yet what is desperately sad about these figures is that a great majority of these wounds could be prevented, reducing not only the enormous annual spend but more importantly reduce the suffering that people with diabetes face. There are so many improvements that could be made to improve foot care for people with diabetes, including access to foot protection teams and crucially, specialist podiatry care. My major drive however is to raise awareness and support for people to take more preventative foot care practices. 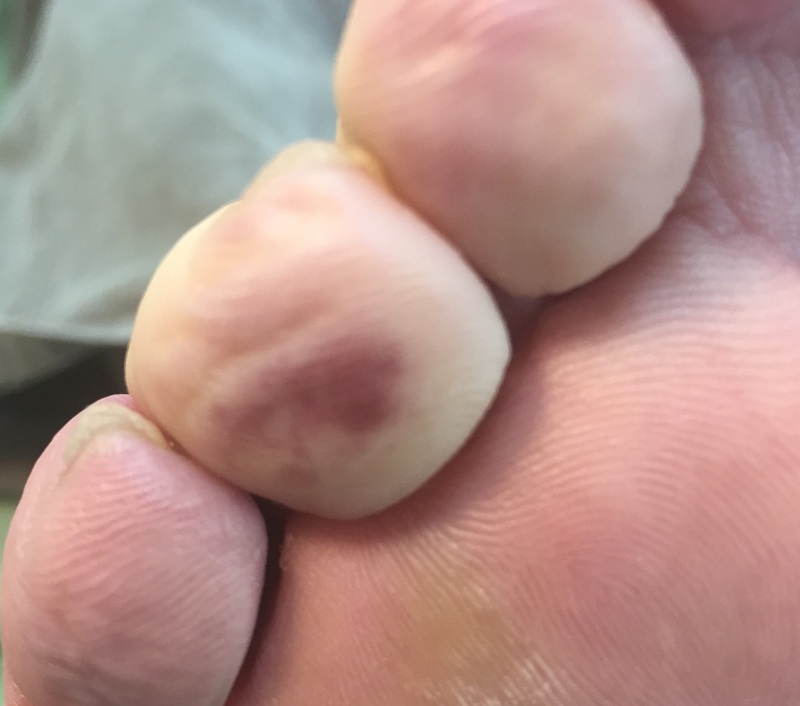 The majority of amputations are preceded by a foot ulcer and the most important factors that contribute to the development of a foot ulcer are peripheral nerve damage, gradual changes to the shape of the feet and a break in the skin. Once an ulcer has formed, infection and reduced circulation are the major reasons for amputation. 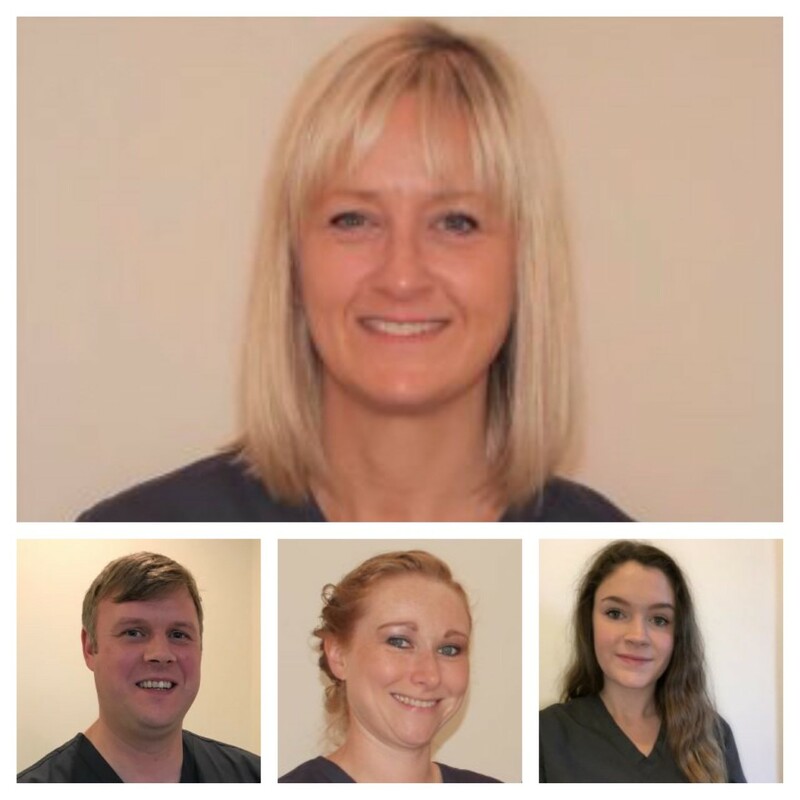 In order to prevent this outcome, it is therefore pivotal that minor injuries or areas on the foot that are at risk of complications are detected early through self-inspection of the feet and regular foot examinations and advice by healthcare professionals. As a preventative measure, guidance should be made available to people with diabetes early on in their illness. Support should focus on helping people to integrate foot care into their general self-management regimes and during all subsequent appointments with health care professionals. The reality is that people who are currently considered to be at low risk of developing diabetes-related foot complications may receive little if any information or support to enable them to undertake foot-self care. Regular foot care is often not a routine practice prior to the onset of diabetes, and pain and discomfort would normally indicate if there was a problem. In the absence of pain, it is important to incorporate a foot care routine to assess, monitor and protect the feet as an ordinary part of daily life once someone is diagnosed with diabetes. Yet in the absence of sufficient guidance, cues and support from HCPs and the healthcare system, the importance of foot health can be overlooked. The biomedical model dominates the foot care services available for people with diabetes and the prevailing focus is to measure and record the risk status of the potential for future ulceration and then to treat the ‘diabetic foot’ once someone has developed a foot ulcer. The person with diabetes who has a foot ulcer is reduced to a person with diabetic foot disease or a diabetic foot. In my own doctoral research, patients I interviewed described their annual foot screening appointments as “just ticking the boxes”. Interviewer: Do you think the information available for diabetes and foot health is good? Patient: Well no, we’re not taught anything, they’re merely ticking the box that yes we are diabetic and then once a year or, well once every 18 months actually, you’ll get your foot looked at. If during the annual foot assessment, the test is performed with little discussion and exchange of information and the person leaves without any indication of what they should be doing for themselves and why, as they have not received any cues or signals that foot health is important, then foot self-care will remain very low in their overall priorities. Interviewer: Do they tell you how your sensation is? Patient: Oh they just said that’s fine, you know, they just stick the pin in and then I’m alright, she just says ‘right that’s fine, everything’s fine’ as far as they’re concerned… as long as they’re quite happy with it then we just accept that it’s alright. If people with diabetes are given expert foot health knowledge in a way that doesn’t allow them to reframe the knowledge within the context of their everyday lives, it will compromise their ability to take appropriate actions in their management of their foot self-care. I would argue that the current provision of the structure of diabetic foot health services is limiting the individual’s capacity to develop agency with respect to foot self-care. Diabetic foot care should offer more than just treatment and we should place greater emphasis on preventive health care advice and support. People with diabetes are their own experts on their condition and a much more collaborative approach to foot health needs to be adopted. If the importance of foot health was embraced by HCPs and given the same focus as glucose management, diet and exercise then foot self-care could become part of the repertoire of diabetes self-management that individuals undertake. 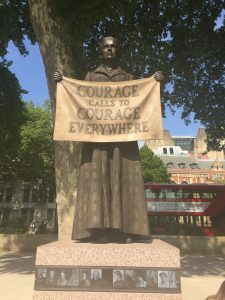 In Parliament Square the newly erected statue of Millicent Fawcett now stands, she campaigned for over six decades to create a movement for women’s rights and it is only now that we are experiencing the changes she so tirelessly pushed for. However, over 80 years ago in ‘The Menace of Diabetic Gangrene’ (1934), Dr Elliot Joslin – the first doctor in the US to specialise in diabetes – reported on how diabetic foot problems accounted for more deaths amongst his patients than any other complication of diabetes. These foot problems, he argued, were preventable in the “overwhelming majority of cases”. Alas, the insidious, silent nature of diabetic foot problems, an inadequate focus on preventative foot care in the healthcare system – and subsequently in those living with diabetes – combined with the global diabetes epidemic means that sadly, Joslin’s arguments are even more valid today than ever before. I desperately hope that the discussions we held in the House of Lords yesterday will create a momentum for change, as a movement for the rights of people with diabetes in order to prevent foot complications is urgently required. I would love to hear about your experiences, the more stories we share the more awareness we can create. Please use our forum here. Guest, Julian F., et al. “Health economic burden that wounds impose on the National Health Service in the UK.” BMJ open5.12 (2015): e009283. Guest, Julian F., et al. “Health economic burden that different wound types impose on the UK’s National Health Service.” International wound journal 14.2 (2017): 322-330. Guest, J. F., Kath Vowden, and Peter Vowden. “The health economic burden that acute and chronic wounds impose on an average clinical commissioning group/health board in the UK.” Journal of wound care 26.6 (2017): 292-303. 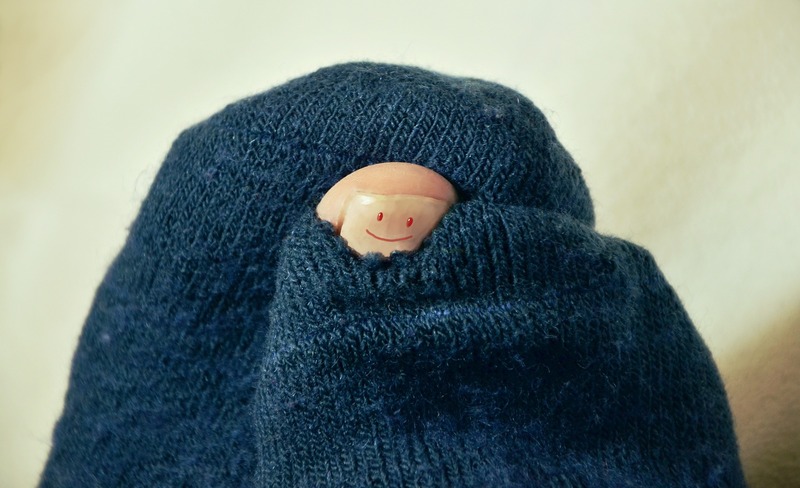 Do you know 75% of people complain their toenails are thick and hard? Did you know quarter of children wear the wrong size shoes? Do you wish you could free your feet this summer? Why do I get chilblains?